The former Liverpool player/manager believes that Eden Hazard will be driven out of the club after they will fail to win any major honour. Chelsea FC have become the latest victim of a heavy bashing from Sky Sports pundit Graeme Souness. Serving as a pundit in the Blue’s crushing defeat to Everton, Souness describe Chelsea as a 5-a-side team and claimed that their glory years of winning trophies are long gone. Yes, their current manager Maurizio Sarri has never won a major trophy in his otherwise incredibly impressive career but a top-four finish is still very much on the cards for Chelsea. As too is the Europa League honour as Sarri’s team prevailed to the quarter-finals just three days prior to their trip to Goodison Park. 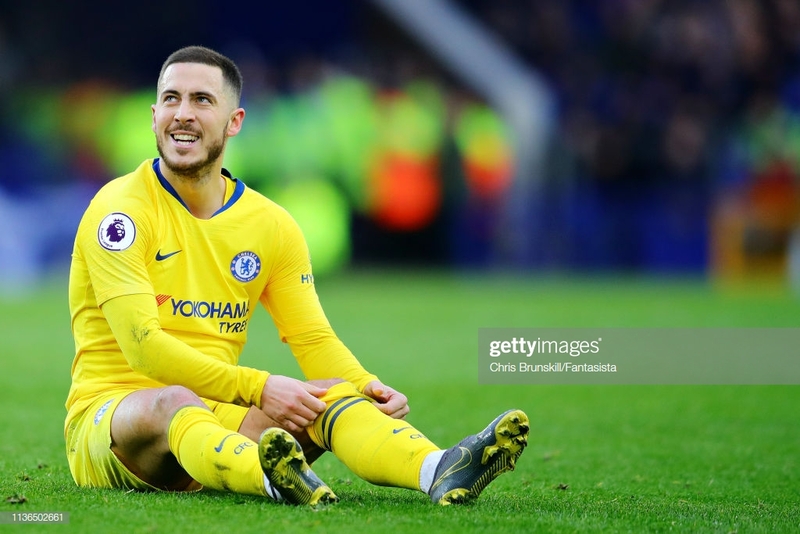 Much of the Souness slamming centred around Chelsea’s top scorer Eden Hazard who has been far from his usual outstanding best in Chelsea’s last six matches. On Hazard, and Chelsea’s trophy hopes, Souness said: "If you are Hazard, you are one of the best players in the world, and you are thinking I'm now arguably at the peak of my career and I want to be winning the big trophies. Will that happen at Chelsea? I don't think so. They look like they will struggle to get into the top four. Chelsea have a big decision to make, do they cash in or let him walk in 15 months?" He added: "It's difficult times ahead for Chelsea. I think there's a big sea change in how they see things going forward. I don't think they will be winning trophies in the immediate future." Chelsea’s new 5-a-side team name? Why you gotta be Giroud? Pedro row row your boat. You’re Barkley up the wrong tree or She’s a Kepa. Chelsea will be wondering which of these 5-a-side team names they should go for after Souness suggested that their style of play would be better adapted to the rules of the alternative game. In the first half of their 2-0 defeat to Everton, Chelsea dominated possession and looked much the more likely to win the game. In turn, the second half saw a complete flip in dominance as Chelsea’s top four hopes took a heavy blow. The former Liverpool player expressed his ‘dismay’ of their lacklustre second half performance. "Chelsea dismay me," said Souness. "They must be wonderful at five-a-side but look at the stats. They have two thirds of possession, dominated things, had twice as many touches, and they lose 2-0. If you are having that much of the ball where are you having it? It's on the halfway line and in your own half. That's how they are playing, they're like a five-a-side team. "It's not just about today, this is Chelsea. That's why they look like finishing outside the top four." Midfield maestro is all good… but where are the goals? Souness’ last hurrah about the midfield three resonated with Chelsea supporters more than anything else. He criticised the trio and said that for all the quality they have individually, the mix is totally wrong. "You take Eden Hazard out of the equation and where's the threat coming from? They have a midfield that is made up of (N'Golo) Kante, who is a fabulous player but doesn't really get goals, and Jorginho, who has two goals this season, and (Ross) Barkley. They don't get goals. The mix is totally wrong. He has a point. His case against Chelsea holds a tremendous amount of gravitas. Kante, Jorginho and Barkley have a combined total of 11 goals in all competitions this season. Compare this to Manchester City’s usual midfield trio this season of Ilkay Gundogan and Bernado and David Silva who, combined, have a total of 24 goals. Or even compare it to Tottenham who between Dele Alli, Christian Eriksen and Eric Dier have 16 goals coming from midfield. The difference is unsettling for any Chelsea fan to see. Souness is right about the goals coming from midfield and the transfer ban for two years isn’t exactly going to help either. However, having said all of that to dismiss Chelsea of being trophy challenges is extremely naïve. Even with all of those problems Chelsea got to the final of the EFL cup and lost out narrowly on penalties to Man City, still able to pose a great chance of getting top four and are one of the favourites to lift the Europa League. Chelsea have one of the best academies in the world and shouldn’t even have to go to the transfer market to look for talented players to improve their squad. They have two very talented young men in Ruben Loftus-Cheek and Callum Hudson-Odoi who are capable of powering them into trophy contenders within the next few seasons for sure.